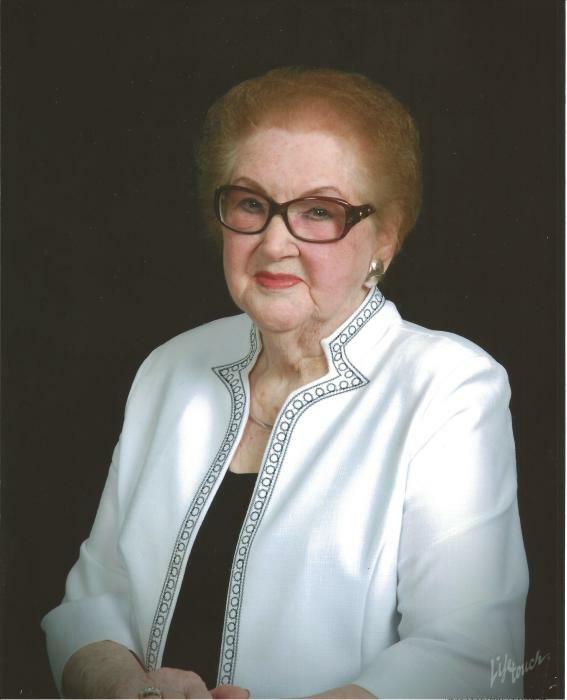 Helen Louise Hollingsworth, 95, of Russellville, died Wednesday, March 13, 2019, at Russellville Nursing and Rehabilitation Center. She was born May 16th, 1923, in Prairie View, AR, to William Thomas and Lucy Ann (Dorrough) Hampton. Helen attended the First United Methodist Church in Russellville. She was preceeded in passing by her husband William "Bill" Hollingsworth in 1986. They had and are survived by two sons, Stanley Hollingsworth and his wife Beverly; and their son, Thomas of Russellville; as well as Bentley Hollingsworth of Russellville, and his daughter and son-in-law, Bryan and Tara Gibson; and their son Cole, and daughter Mayzee, of Sachse, TX.